If you haven’t been to Sri Lanka, you should. You definitely should & with an open heart. 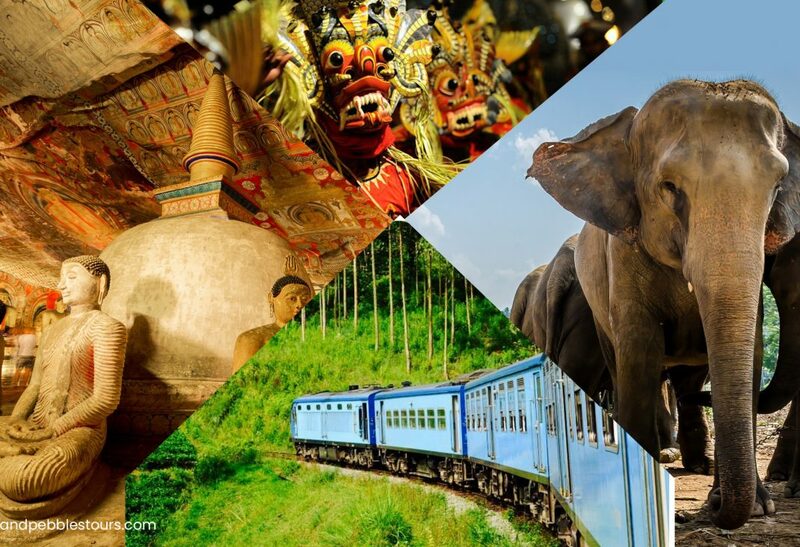 And, for which type of traveller Sri Lanka is suited for? Everyone! From families to couples or solo travellers and everyone in between, Sri Lanka is an unexpected surprise that will not disappoint. Filled with friendly faces, charming towns and luscious landscapes, many travellers seem to overlook this undiscovered country. But, it’s becoming Asia’s New Hottest Destination in no time. One of the main appeals of the island is its diverse landscapes, which range from rainforest to arid plains to highlands and sandy beaches. There is an abundance of sandy beaches and beautiful ancient Buddhist temples. The island in the Indian Ocean is also renewed for its seafood curries and spicy roti bread. I never expected I would love this small this much that I would urge you all to come & explore Sri Lanka: A Journey To Asia’s New Hottest Destination. Sri Lanka offers you a plethora of options to choose from. You don’t even have to choose if you have often time to experience every nook & corner. The best thing is it’s so easy to adapt to this country that you’ll never know when you started wearing sarongs, drinking Lion beer & enjoying a busy train ride amidst the mountains & greenery. The transport system is efficient, the people are super friendly and the food is something that I often find myself craving! I became dhal and sambol addict! I never expected that this place could be this green & beautiful. At first glance, as your train thunders past, the hillside will appear to be dotted with huge flowers. For acres and acres, the countryside has been swathed in green. These are the first specks of colour.But if you peer more closely, you’ll realize that Nuwara Eliya fields are not, in fact, miraculously blossoming. Rather, tea-pickers wearing richly hued fabrics bend over like petals, filling their baskets with the Ceylon tea for which Sri Lanka is internationally renowned. The thing I have enjoyed most about visiting Sri Lanka is undoubtedly the nature. I have seen beaches that are postcard-worthy, spectacular sunsets and rolling hills of emerald green palm trees. The wildlife is abundant and I have seen wild dolphins, humpback whales, blue whales, peacocks, cheeky monkeys (throwing mango stones at me from a telephone wire!) and swam with turtles. Trek through Yala National Park. For the animal lovers, this is where you need to go to spot abundant wildlife. Yala National Park has one of the highest density of leopards in the world, with around 25 leopards believed to frequent the section of Yala open to the public. So you do have a decent chance of seeing a leopard. However, there is much more to Yala than just leopards, and in fact, there are believed to be over 44 species of mammals and over 215 bird species here! Sri Lanka has now recovered from the 2004 Tsunami & a decade long civil war. Peace has settled & the important thing is tourists have noticed. About two million tourists traveled to Sri Lanka in 2016, four times the number who came a decade ago. With the exception of the Hindu north, Sri Lanka is mainly Buddhist. There are countless temples and monuments dedicated to Siddartha throughout the country, and the people have a laid-back, reflective way of understanding the world. Time is elastic here and Sri Lankan might promise you the world, but delivery is another matter. You just have to adjust to a new flow. Have a coconut, relax on the beach. 5. Beaches! Oh, The Beaches. Apart from all other beautiful natural features, Sri Lanka is best known for its beaches. There are many popular beaches in this country and it is said that they come in one of the most beautiful beaches in Asia. The beaches here are not just for the sake of enjoyment along the side of the sea, but one can even enjoy going in the water. Unawatuna is one of the best beaches in Sri Lanka which is famous for calm blue waters. The unique selling point of this beach is that one could spot a whale shark if lucky. Galle is one of the most visited beaches in Sri Lanka. It tops the list of beaches in Colombo. With a wonderful history; Galle amazes you by the architectural beauty, the tropical weather, the aroma of spices such as the cinnamon and cloves & more. The picturesque environment of Galle often pulls many foreign artists, poets, and writers. 1. If You Have A Buddha Tattoo, Hide It! Sri Lanka has a zero tolerance for tourists with Buddha tattoos. In fact, there have been cases in the past wherein tourists with Buddha tattoos have been arrested and deported. The thing is, if you’re travelling to a new country, try not to be a jerk & respect their culture & traditions. That being said, if you’ve a Buddha Tattoo, please hide it while you’re in Sri Lanka. If you’re looking to experience Sri Lanka in a budget, you should invest your time away from the beach towns. When I first arrived in Sri Lanka, I got a shock because everything was expensive in Negombo. Maybe it was because I was comparing it to India but even basic things at supermarkets were expensive. I did eventually find a few affordable eating options but there were not too many. Beach Towns like Arugam Bay, Negombo were definitely more expensive than the hill towns. Spend wisely & decide where do you want your money to be spent mostly. I loved Sri Lanka, all with its ups & downs. You’ll too. You just need to be a tad bit open to everything, which I think anybody can! Happy Travelling!